SON OF THE REPUBLIC, LOOK AND LEARN! George Washington's vision has been published from time to time and is recorded in the Library of Congress. The place was Valley Forge, in the cold and bitter winter of 1777. 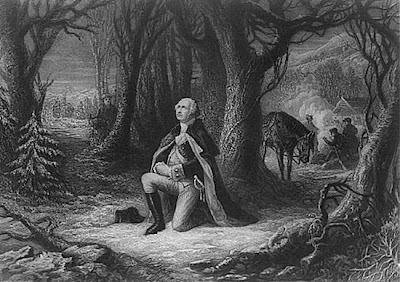 Washington's army suffered several reverses and the situation was desperate. Food was scarce. The Continental Congress was not sending supplies or money. Some of the troops did not even have shoes to wear in the snow. Many soldiers were sick and dying from disease and exposure. Morale was at an all-time low and there was great agitation in the Colonies against continued effort to secure our freedom from England. Nevertheless, General Washington was determined to see the struggle through. "This afternoon, as I was sitting at this table engaged in preparing a dispatch, something seemed to disturb me. Looking up, I beheld standing opposite me a singularly beautiful female. So astonished was I, for I had given strict orders not to be disturbed, that it was some moments before I found language to inquire the cause of her presence. A second, a third and even a fourth time did I repeat my question, but received no answer from my mysterious visitor except a slight raising of her eyes. "A new influence, mysterious, potent, irresistible, took possession of me. All I could do was to gaze steadily, vacantly at my unknown visitor. Gradually the surrounding atmosphere seemed as if it had become filled with sensations, and luminous. Everything about me seemed to rarefy, the mysterious visitor herself becoming more airy and yet more distinct to my sight than before. I now began to feel as one dying, or rather to experience the sensations which I have sometimes imagined accompany dissolution. I did not think, I did not reason, I did not move; all were alike impossible. I was only conscious of gazing fixedly, vacantly at my companion. 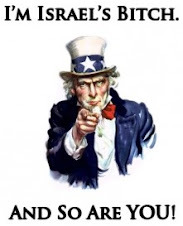 click here to see george washington's vision. related by him to a confidential officer. Published/Created: New York, C. M. Clark, 1889. Related Titles: Washington's vision at Valley Forge. Description: 8 p. 15 x 12 cm. "it is our true policy to steer clear of permanent alliance with any portion of the foreign world": george washington's farewell address to us. 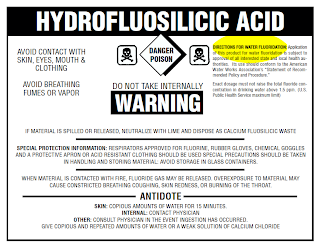 recently americans for limited government, chairman, howard rich, penned a piece to their netright daily.com blog project entitled: "fighting fluoridation: fringe no more." it's encouraging to see articles about the hazard and folly of water fluoridation in more mainstream outlets because so many people simply will not believe anything is true until the main stream media tells them so. 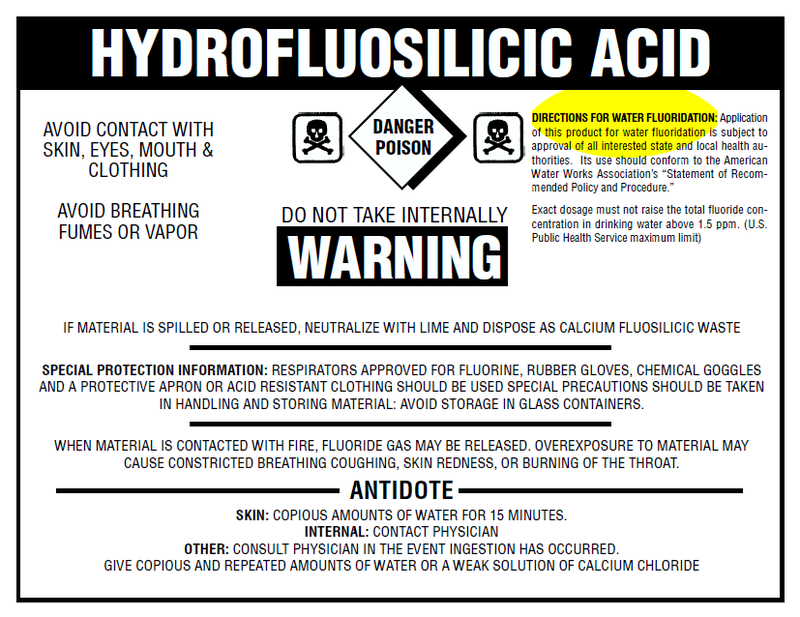 with this article you can now consider yourself as having permission to discuss water fluoridation without risk of being tagged a conspiracy theorist. as far as louisiana -- louisiana has a mandatory water fluoridation law in effect since 2008. yes 2008 not 1958. this is due to the machinations of corrupt, criminal, lake charles democratic state senator, willy landry mount and her state house partner in crime, corrupt, criminal, monroe rino, kay "bucket of bolts" katz. mount's SB312 was signed into law by that subversive rino weasel piyush "bobby" jindal. like nobody could see anything like this coming. 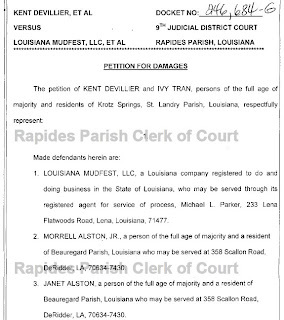 in their petition for damages, plaintiffs, kent devillier and ivy tran, residents of krotz springs in st. landry parish, louisiana, claim that on 21 may 2012 they and their kids and some local friends were swimming in the river at mudfest. eventually, mr. devillier and ms. tran left the swim party (their kids wanted to stay) to return to their campsite to start supper. about twenty minutes later here comes their kids with a group of four wheelers behind them seemingly like herding their kids back to their camp. upon arrival at their camp the group of four wheelers began accusing mr. devillier and ms. tran of abandoning and starving their kids. so they started shouting and arguing back and forth when finally mr. devillier who was sitting in a lawn chair asked them to leave ... "when suddenly a bald man with a beard ... attacked mr. devillier." then, according to their petition, "as mr. devillier was getting attacked, three other men proceeded to jump in and hit mr. deviller at the same time." ms. tran went to mr. devillier's aid and was attempting to pull one of the men off him when some girls from the four wheeler group attacked her. finally someone phoned 911 and the rest is civil court history. 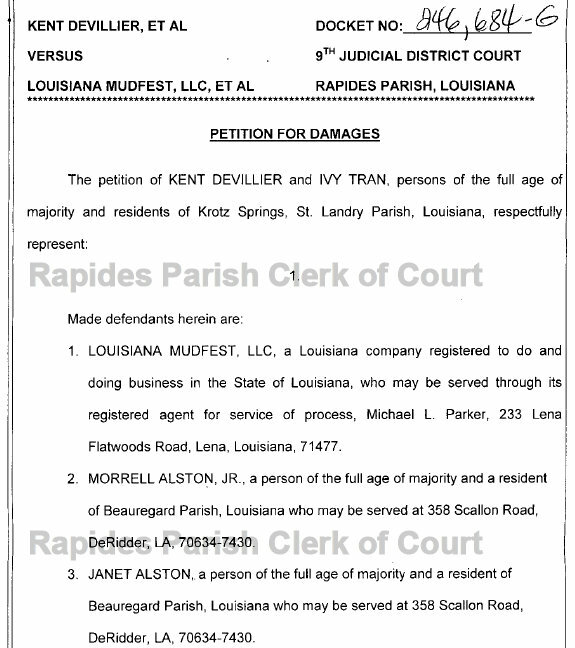 kent devillier and ivy tran's petition for damages is filed on 11 february 2013 by opelousas, louisiana attorney alfred v. pavy boudreaux of the pavy & boudreaux law firm; docketed at number 246,684 and allotted to ninth judicial district court judge harry f. randow. wst... note: while we've never personally visited mudfest, over the past year, or so, members of our family have repeatedly attended events there and have never mentioned having anything other than a pleasant time. click picture to enlarge "the abduction of psyche"
The painting The Abduction of Psyche (which is also known by the French title Le ravissement de Psych ) is one of artist William Bouguereau's most recognizable and famous works. 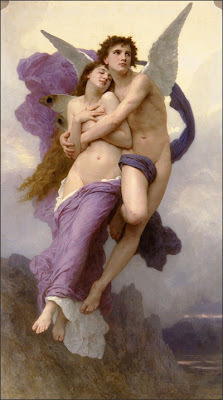 The Abduction of Psyche was inspired by an episode from Classical mythology, and Bouguereau was certainly not the first to be fascinated by the legend. Indeed, the tale of Psyche and Cupid (or Eros, if you prefer the Greek name for Cupid) has appealed to many painters and poets over the centuries. But the way in which the artist has depicted his version of the myth is what makes this particular image so memorable. In this painting, the beautiful woman Psyche is being carried by her immortal lover Cupid. Bouguereau biographer Fronia E. Wissman writes poetically of this piece: "...she [Psyche] is literally being transported by love." And this, in essence, is what the image represents. Psyche seems lost in a blissful reverie. She is being embraced by the handsome god of love, who, with his elegant wings and idealized features, seems custom made to drive young women into a frenzy of admiration and desire. The two figures almost seem as one in this work, and together their bodies form a lyrical arrangement. Floating draperies - delicate lilac for Psyche and muted blue-grey for Cupid - complete the composition and give the painting a subtle but sophisticated diagonal emphasis. 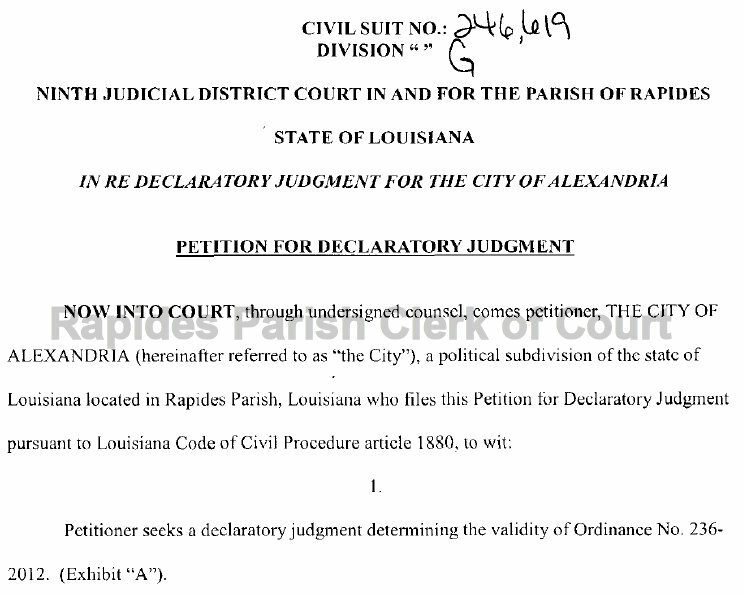 "appropriates additional funds, within the budget of the city of alexandria for the purpose of providing to regular, properly-tenured [employees] for the purposes of the payments hereunder, full-time city employees ['qualified employees'] a 'one-time salary supplement payment.'" 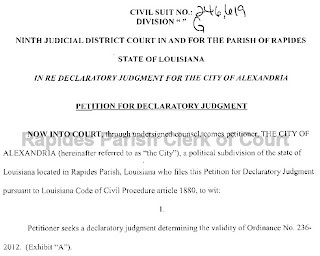 apparently, there is a question as to whether supplemental payments to salaries to city employees violate article 7 sec.14(A) of the louisiana constitution of 1974 which pertains to "donation, loan, or pledge of public credit." 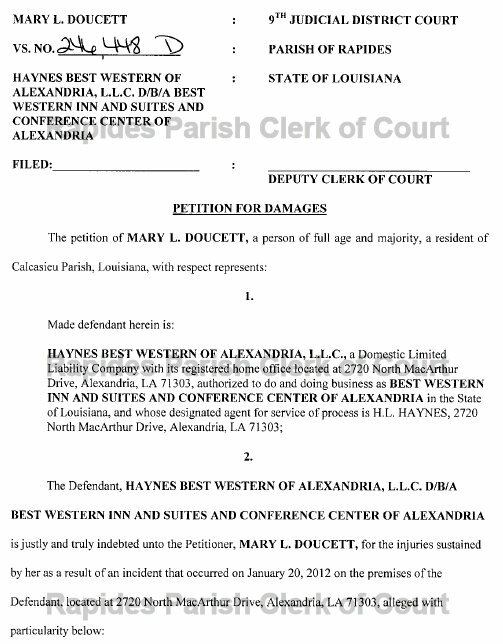 the petition for declaratory judgment, to be served on louisiana attorney general james d. "buddy" caldwell, is filed on 05 february 2013 by alexandria, la., city attorney charles e. johnson, jr., with an assist from, cough, cough, misty antoon, docketed at number 246,619 and allotted to ninth judicial district court judge harry f. randow. UPDATE: 17 february 2013 front page scan and a .pdf of the 16 february 2013 gannett/alexandria daily town talk pages a-1 and a-5 added. click here to download the two page .pdf [976 kb]. 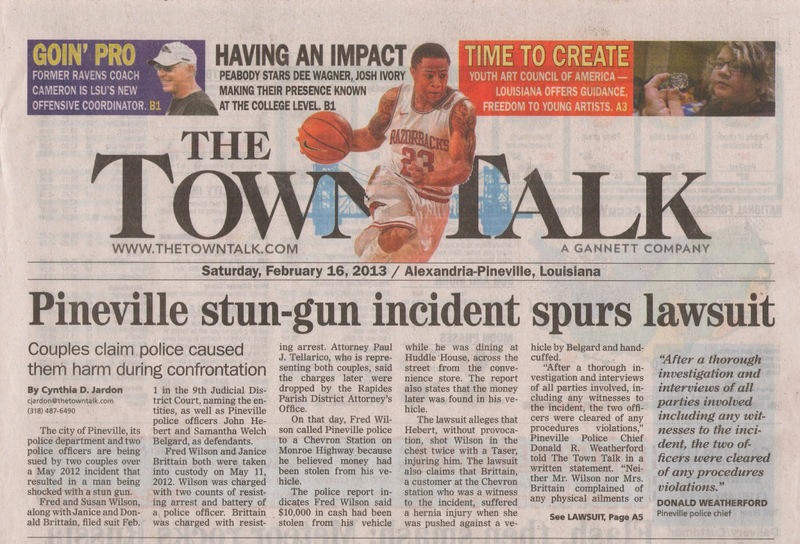 some people like to talk about what a great place pineville, la., is but yet their police department gets sued for taser and police brutality all the time. much more than the city of alexandria which has the bad reputation. 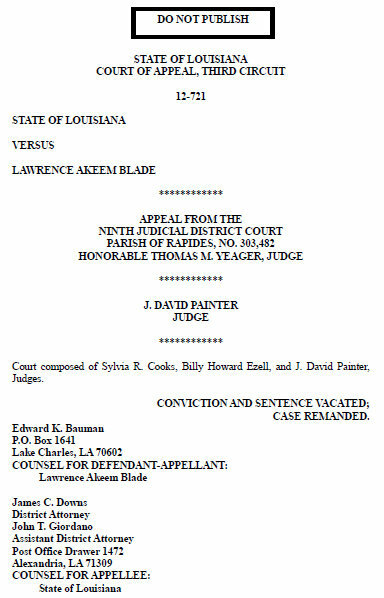 according to their petition, on 11 may 2012, fred wilson called the pineville police department from the chevron station located on the monroe highway in pineville (possibly chevron ball 6101 monroe highway, ball, la. 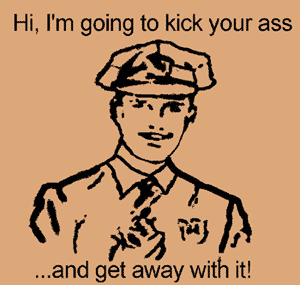 }, because he thought (or had, it's not clear), a large amount of money stolen from out his vehicle. 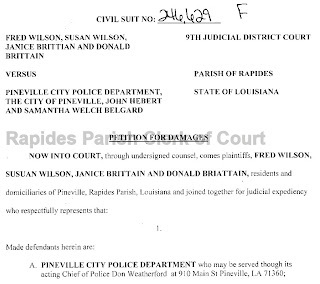 pineville police officers samantha welch belgard and john hebert responded. they kept questioning mr. wilson as to how and why he had such a large sum of money and finally mr. wilson said "what difference does it make?" then according to the petition officer john hebert pulled out his taser and tased him. and then tased mr. wilson a second time while he was on the ground. janice brittain and donald brittain were customers at the chevron and were so shocked at what they witnessed, attempted to exchange information with the wilsons'. the police said they couldnt exchange information and arrested janice brittain and fred wilson charged with resisting arrest and battery on a police officer. 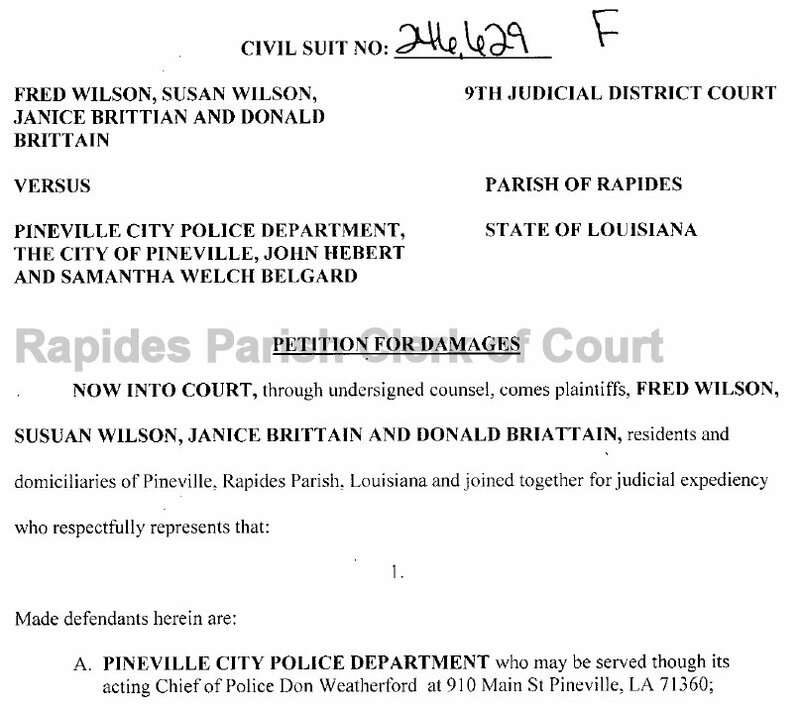 rapides district attorney jam downs eventually dismissed those charges. so now they're suing and good luck to them. we'd add that there needs to be an investigation into what's going on in pineville. 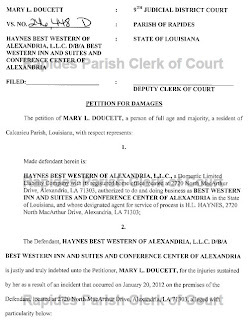 the petition for damages is filed on 06 february 2013, by alexandria, la., attorney, paul j. tellarico of the tellarico law firm, docketed at number 246,629 and allotted to ninth judicial district court judge george c. metoyer. of coz no mention is made of how much taxpayer money was squandered on the first trial as well as the next one.